Paper Salon introduced their new acrylic stamp sets at summer CHA and are they cool! 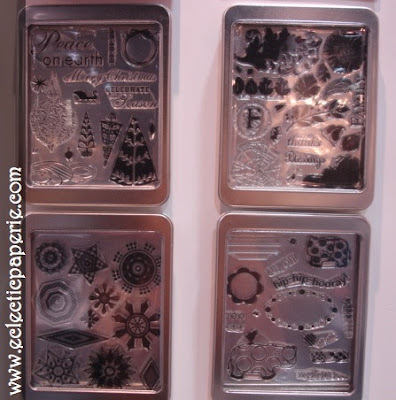 The stamp sets come in a metal tin with a clear top are signature of their fun packaging. 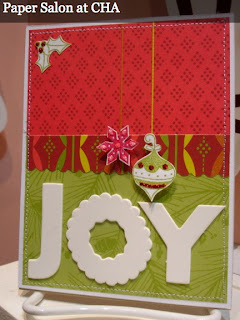 The Paper Salon papers (Spice, Snow Days & Ornamental) are cheerful and vibrant. They may not be your traditional seasonal colors but that's the cool part and fun designs, too. Here is a card sample that was taken at CHA at the Paper Salon booth.